Norway passport redesign for more security includes surprise design feature on the inside. 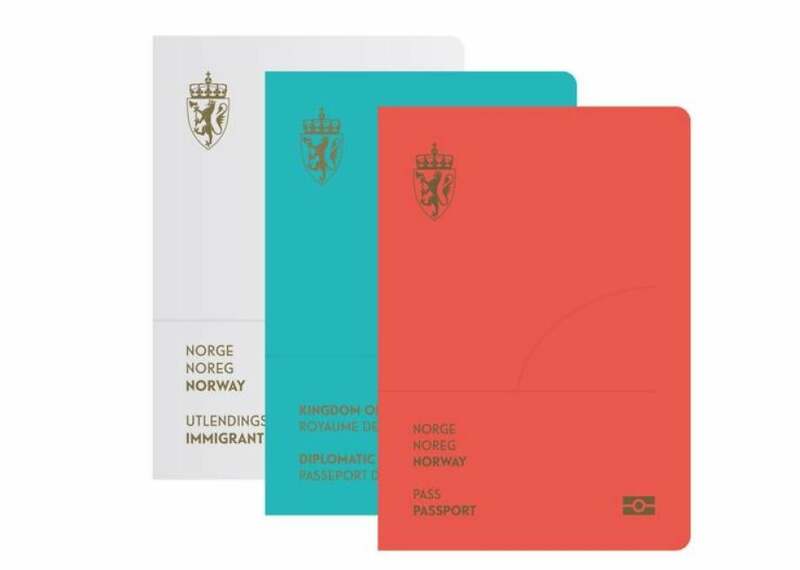 The winning Norweigan passport cover redesign from Neue Design Studio includes an update of the current red passport, plus a blue version for diplomats and a white version for immigrants. 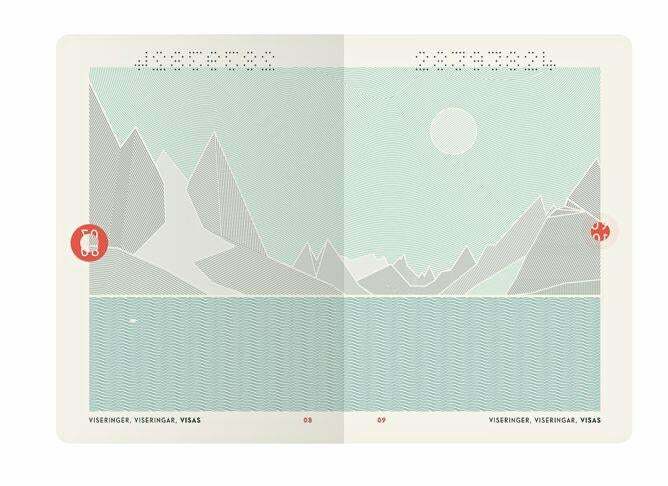 On the heels of its new pixelated banknotes, Norway has now overhauled the look of its passport with a minimalist redesign that has a surprise feature on the inside. When the passport is held under a UV light, a scene of the Norwegian landscape turns from day to night, revealing swirls meant to evoke the spectacular northern lights, and hidden text appears. 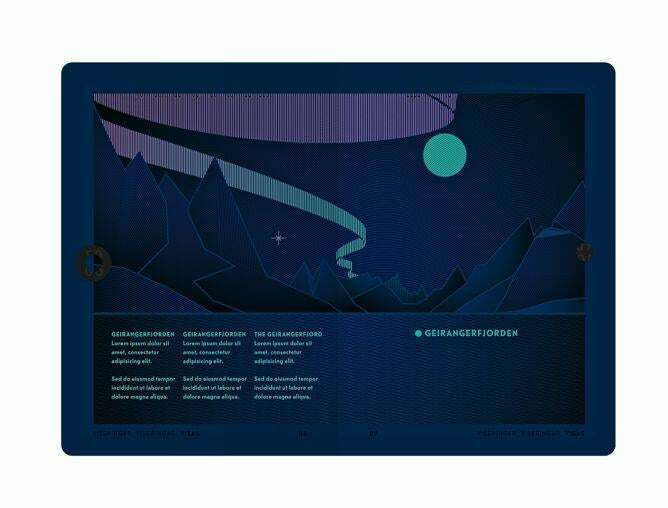 An illustration on the redesigned passport interior was inspired by the Norwegian landscape. Held under a UV light, the design turns into a night sky with swirls representing the country’s northern lights, and hidden text appears. The winning design from Neue Design Studio was chosen by a jury for a design competition held by the country’s national police, who wanted to update the security features of its current passport, whose cover has all the stodgy bureaucratic pomposity of your average passport design. The new passport cover has a sleek, minimalist look (but not quite as minimal, it turns out, as this Norwegian passport from 1923). It includes an update of the current red passport, a blue iteration for diplomats, and a white and pale gray version for immigrants. The widely accepted theme of the Norwegian landscape won the day.